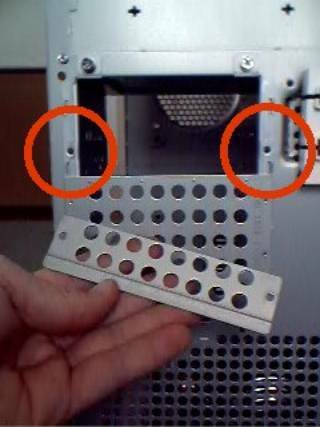 Here is a nice pic of the drive basket, or cage, whatever ;) Now this basket will rest about 2-3� above your CPU, depending on the motherboard layout. So it does get a little bit tight in there, it should be ok however as long as you can keep cable clutter down to a minimun. Since I am not going to be needing those 2 drive bays, I simply left the entire cage out. 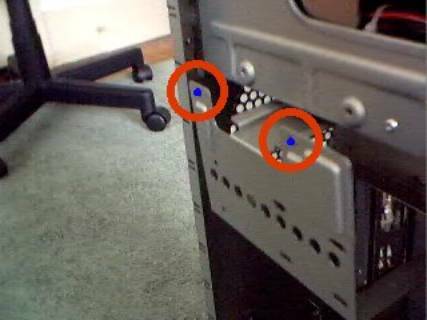 To remove this guy, you�re gonna have to screw out 2 screws, and then it slides out as per the picture above. 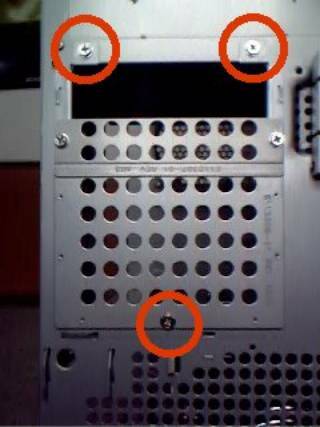 Notice the holes drilled in the side, an apparent attempt to improve cooling. How do you connect to the internet? Recieve bi-weekly updates on news, new articles, and more!